A creative pupil from Cardiff has been crowned the winner of a national competition, after designing a striking poster warning of the dangers of carbon monoxide (CO) poisoning. 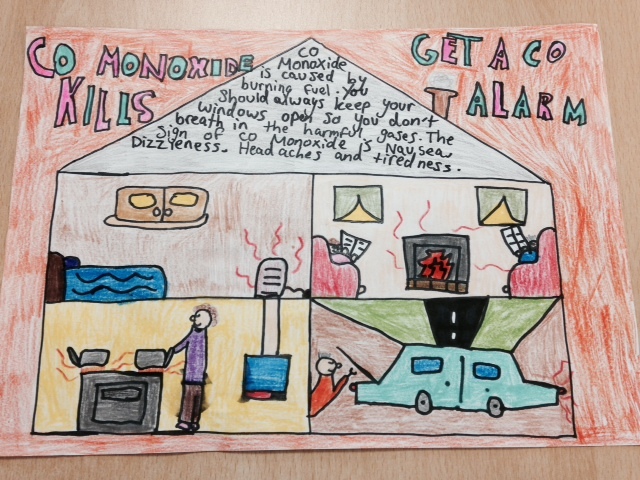 Naomi Rahman, who is 11 years old created her poster to demonstrate the silent and deadly effects of carbon monoxide – an odourless, colourless gas which kills around 36 people each year and injures more than 250 people. The national schools’ poster competition is run by independent registered charity, CO-Gas Safety, which works hard to prevent deaths and injury caused by CO poisoning and other gas dangers, while supporting victims and their families. Naomi’s design beat off stiff competition to be named overall winner for Wales. 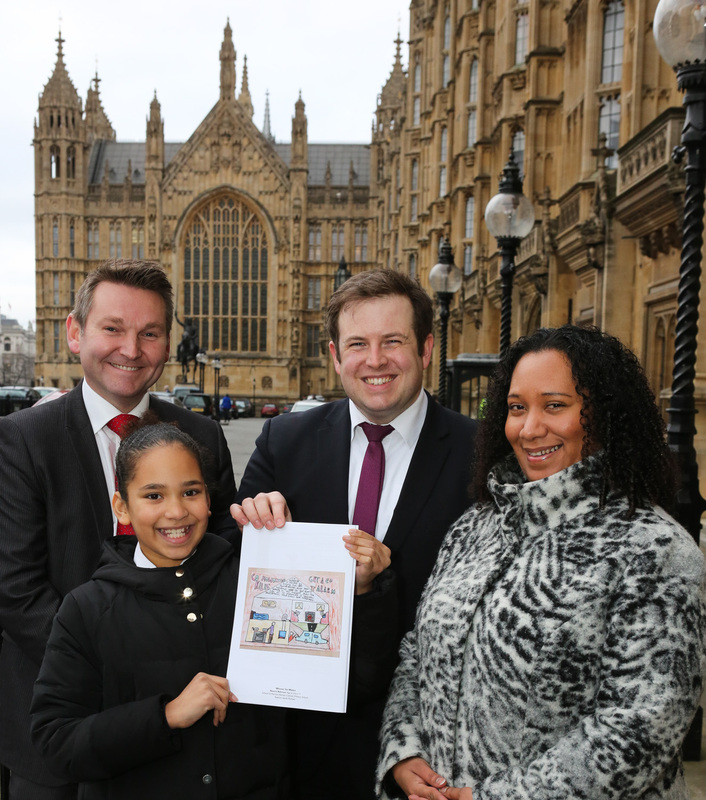 She was presented with a prize of £300, and £500 for her school, at a special ceremony held at the House of Lords in London, where the charity revealed 19 years of its own data on the devastating effect of deadly carbon monoxide. It revealed that there have been a total of 677 deaths and 4,766 near misses caused by unintentional carbon monoxide poisoning (CO). Stephanie Trotter, OBE, President of CO-Gas Safety said that choosing the winners had been a very hard decision as the standard of entries was so high. “Naomi’s design really stood out for its creativity,” she said. Have chimneys and flues regularly swept and checked. Ensure adequate ventilation and that vents are clear. As an extra safeguard, buy a CO alarm that works to standard EN 50291. Never take a barbecue or stove into a tent, canopy or any interior space such as a boat, caravan, conservatory, home or motor home, even if you think it has burned out or even cold to the touch because it could still be emitting dangerous fumes.